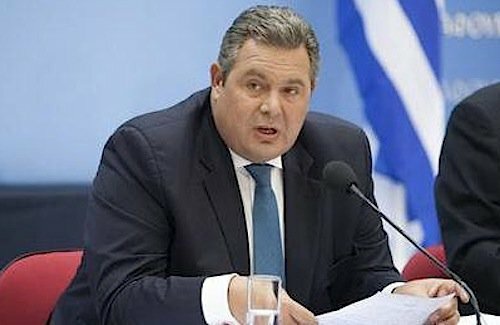 Greek Defense Minister Panos Kammenos said on Wednesday he has briefed his counterparts in NATO about Turkey’s recent provocations in the Aegean. Speaking at a press conference announcing the return on public television of a show on the Greek Armed Forces, Kammenos said there’s “an automatic briefing” at a foreign ministry level and that he informed NATO’s defense ministers on the issue during a recent meeting and intends to do the same with his EU counterparts on their meeting on Monday. “The biggest weapon against Turkish propaganda of a ‘hybrid war’ is the truth. We continue our work. The best answer is to do our job well and we won’t do them the favor of getting carried away,” he said.